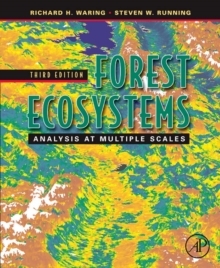 This revision maintains the position of Forest Ecosystems as the one source for the latest information on the advanced methods that have enhanced our understating of forest ecosystems. Further understanding is given to techniques to explore the changes in climatic cycles, the implications of wide-scale pollution, fire and other ecological disturbances that have a global effect. The inclusion of models, equations, graphs, and tabular examples provides readers with a full understanding of the methods and techniques.